Tongues speaking, vision seeing, holy rolling Mormons? For many the fact that primitive Mormonism was as Pentecostal as their local Foursquare or Assemblies of God Church may come as a shock but it’s a historical fact. 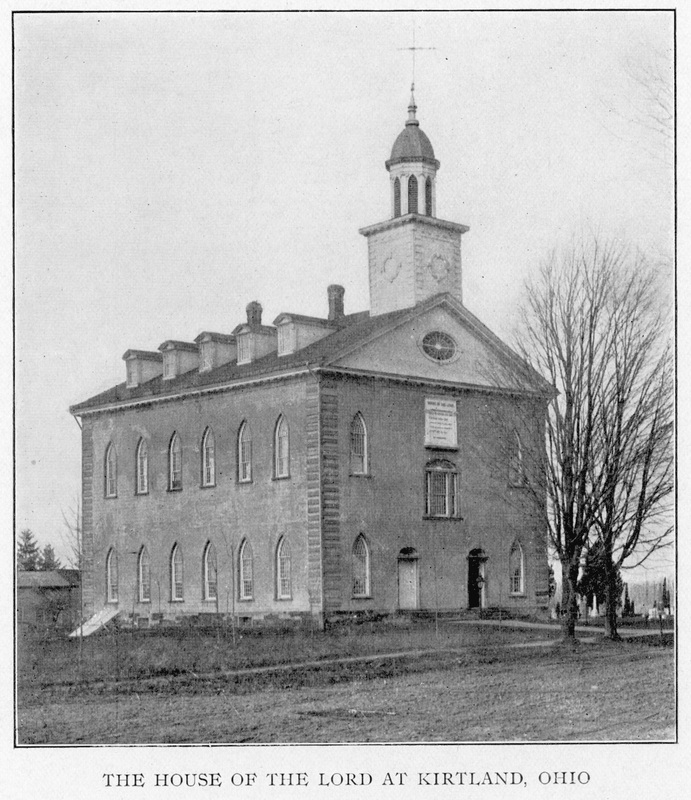 And could there be any greater evidence of the Pentecostalism of early Mormonism than the Dedication of the Kirtland Temple? Maybe, but it’s pretty hard to top – especially since we have such a rich trove of first hand reports to choose from. A few of these accounts follow this brief introduction. Oh, there was prophesying, testifying, speaking in tongues, blessing and cursing, visions, angels, appearances by all kinds of characters including Elijah, Jesus, Adam, and Abraham. But the Mormon church conveniently never discusses the fact that everyone arrived fasted – starving and thirsty. And how did they break the fast? With the Lord’s Supper, of course: bread and wine. Lots of wine. 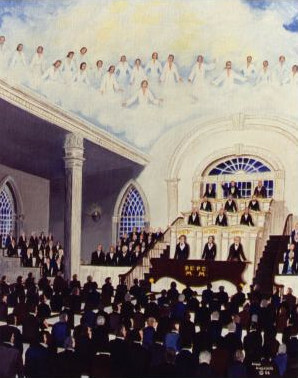 Yet despite any challenges to the causality, legitimacy or orthodoxy of any particular charismatic expression Early Mormonism was unquestionably rooted in the burgeoning Pentecostalism of it’s day. Further, you can still see evidences and echoes of that legacy in the modern LdS Church – though today it’s only a shadow-like (actually more like a zombie-like, that is, animated but dead) aberration of what it once was. “One striking feature of the ceremonies, was the grand shout of hosanna, which was given by the whole assembly, in standing position, with uplifted hands. The form of the shout is as follows: ‘Hosanna-hosanna-hosanna-to God and the Lamb-amen-amen, and amen.’ The foregoing was deliberately and emphatically pronounced, and three times repeated, and with such power as seemed almost sufficient to raise the roof from the building. Joseph Smith, “History of The Church of Jesus Christ of Latter-day Saints”, 7 vols., introduction and notes by B. H. Roberts (Salt Lake City: The Church of Jesus Christ of Latter-day Saints, 1932-1951), Volume 2, p.428. 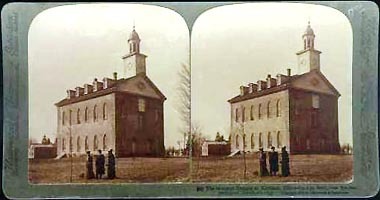 Leonard J. Arrington, “Oliver Cowdery’s Kirtland Ohio ‘Sketch Book,'” BYU Studies, Volume 12, (Summer 1972), 426. Truman Angell, Autobiography, Our Pioneer Heritage, Writings of Early Latter-day Saints, p.198. To “get crunk”: (verb) The act of getting crazy drunk. 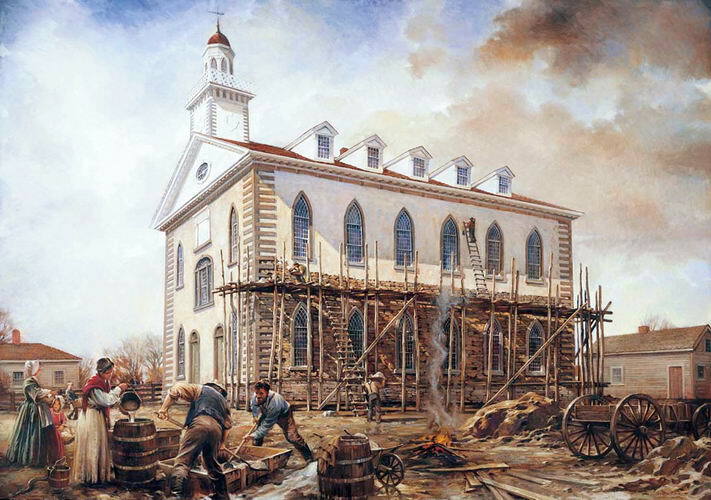 The Church of Jesus Christ of Latter-day Saints is quick to tell fascinating tales of spiritual manifestations about its temples. 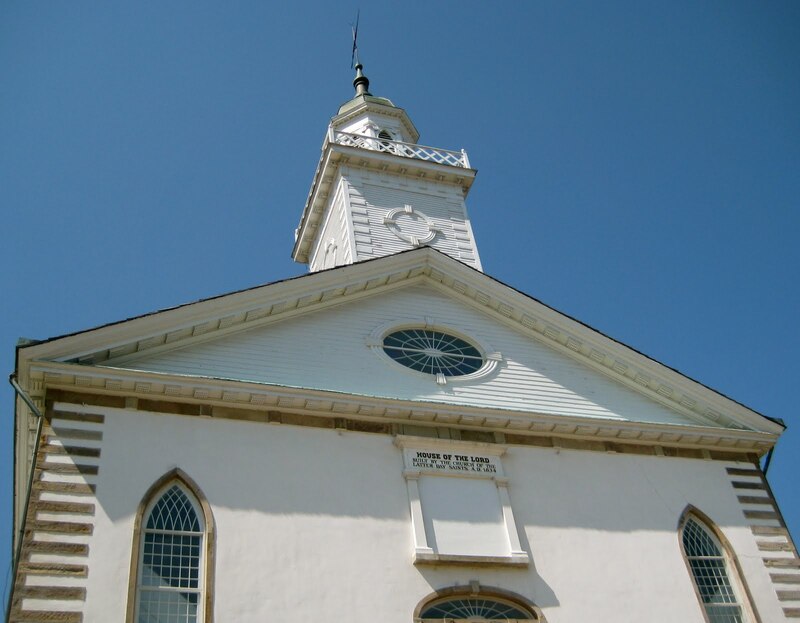 Some fantastic tales are the remarkable events that transpired in 1836 before and during the dedication of the Kirtland temple. 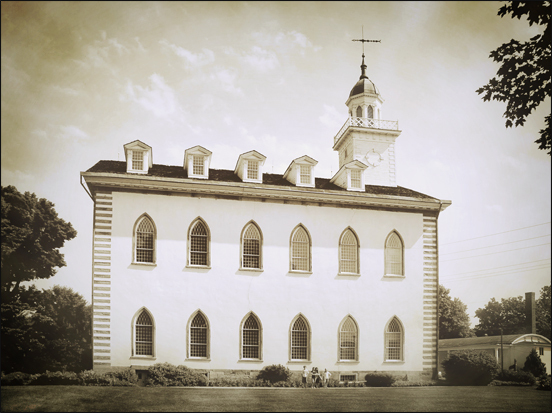 Some years later, a brother Milo Andress “spoke of blessings and power of God manifested in the Kirtland Temple. Said he once asked the Prophet why he (Milo) did not feel the power that was spoken of as the power that was felt on the day of the Pentecost?….when we had fasted for 24 hours and partaken of the Lord’s supper, namely a piece of bread as big as your double fist and a half pint of wine in the Temple. I was there and saw the Holy Ghost descend upon the heads of those present like cloven tongues of fire.” – Diary of Charles L. Walker 1855-1902, excerpts typed 1969, page 35. The statement by Mormon Apostle George A. Smith would also lead a person to believe that wine was used to excess: “… after the people had fasted all day, they sent out and got wine and bread…. they ate and drank…. some of the High Counsel of Missouri stepped into the stand, and, as righteous Noah did when he awoke from his wine, commenced to curse their enemies (Journal of Discourses, vol. 2, p.216). Yes, wine was pouring that day and everyone was “drunk” with the spirit, from having drunk too many spirits. It seems that the majority of the time, you can hardly find Joseph Smith having any of his historical visions and visitations without having the Lord’s Supper somewhere around the event – lots of wine. It wasn’t until July 5, 1906 that the First Presidency and Quorum of the Twelve Apostles officially abandoned the practice of drinking wine in their weekly temple sacrament meetings. The early initiatory ordinances also included bathing naked in strong perfumed “spirits” (e.g. whiskey) You can learn more about that here. It’s apparent that the early saints were much more liberal with the wine at Joseph Smith’s request. 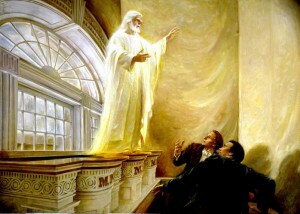 Have you ever noticed that the outpouring of the spiritual manifestations and pentecostal gifts seemed to fade once Joseph Smith was gone? Don Priest Being a Pentecostal, I can honestly say that I know many Pentecostals that have erred where the Biblical text is concerned. That’s why it is imperative as Paul said in I Corinthians, that prophecy be judged. That doesn’t happen much any more. There are many voices in the spirit, but only One Holy Spirit. Paul said, if any man calls Jesus accursed, he is not speaking by the Holy Spirit. I would say that Mormon theology on Jesus the Christ about sums up that statement. Thanks for the article though. It helps to be reminded that we need to stand strong on the written Word of God while following the Spirit of God. Blessings! Fred W. Anson Not much to add Don but, “Yep!” I can’t pick up a copy of Charisma magazine any more without getting nauseous. Particularly troubling (and I think that Bob Betts may well remember this too) was the Charismatic guy who posted on the old Concerned Christians discussion board and essentially chewed us out for opposing Mormonism because some big name Pentecostal Prophetess that he followed had given several prophetic utterances from “the Lord” that Mormons were our brothers and sisters in Christ. Even more troubling is the former Liberty University Professor, Lynn Ridenhour who after receiving the Baptism in the Holy Spirit received a “revelation” that the Book of Mormon is true and that Joseph Smith was a true prophet of God. 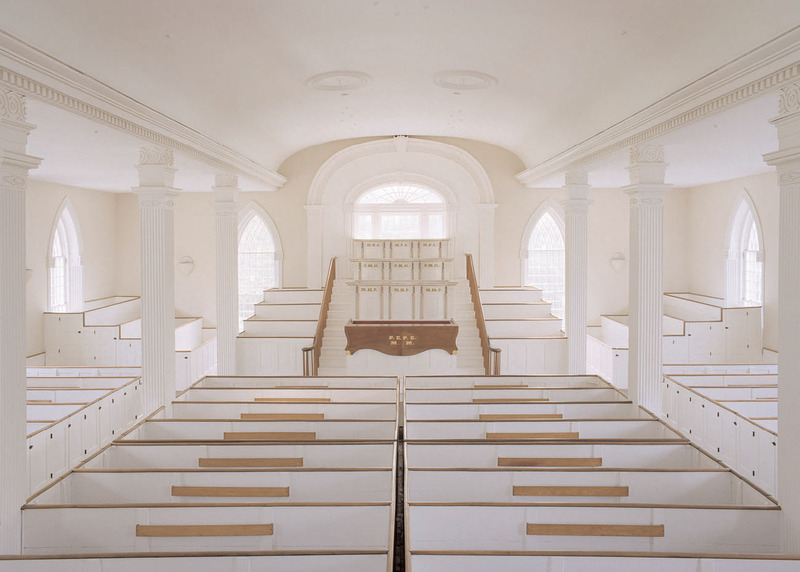 Mr. Ridenhour – an ordained Baptist minister who has transitioned through both the LdS Church and the Community of Christ (aka “RLDS Church”) without being baptized into either – is now running a “bridge ministry” that he hopes will unite Pentecostal/Charismatic Christians with those in the LDS Movement. Personally, I consider Mr. Ridenhour and Richard J. Muow (whose book I reviewed and whose Mormon Studies behavior Mike Thomas critiqued on Beggar’s Bread) the two most dangerous Evangelicals of our day in regard to taking a Biblically appropriate approach to Mormonism. I always warns others about them – as I have just done. Don Priest That’s VERY unfortunate. So sorry that there are false prophets out there claiming they are Christian prophets. (sounds familiar…) But there are the right ones too. It’s easy to “throw the baby out with the bathwater”, just remember that not all of us are “off”. Keep spreading the Gospel my brother! Fred W. Anson Oh yes, Don I understand that. Remember I too am a Charismatic and I haven’t abandoned the TRUE Biblical restoration that started with the Reformation and continued with Cane Ridge as well as The Welsh, Billy Graham and Azusa Street Revivals. To name only a few . . .